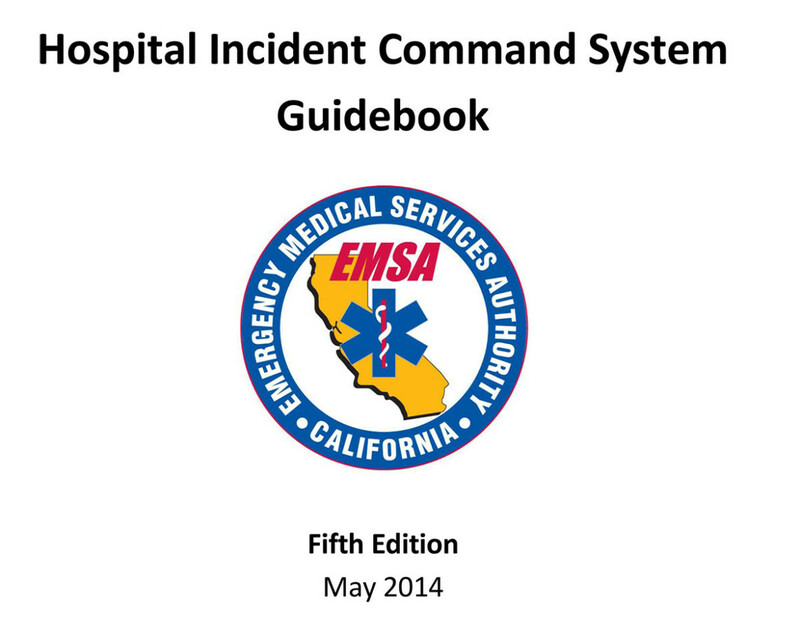 The California Emergency Medical Services Authority (EMSA) is pleased to release the Hospital Incident Command System (HICS) 2014 Guidebook. This Fifth Edition has been expanded to meet the needs of all hospitals, regardless of their size, location or patient care capabilities. 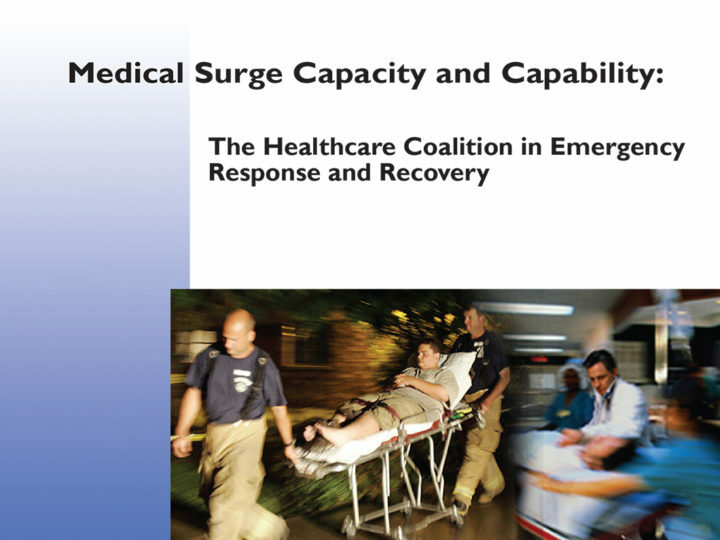 Lessons learned from real-world emergencies have been incorporated into this version of HICS from the 2009–10 National HICS Survey, the 2011 HICS National Stakeholders’ Summit, and from examples provided by the HICS Secondary Review Group members who once again evaluated the draft materials and provided their comments and suggestions to all proposed changes. The term, “Incident Management Team” has been changed to “Hospital Incident Management Team” to eliminate any potential confusion with other engaged response teams such as deployed state or federal resources sent to help manage an incident. A Patient Family Assistance Branch has been added under the Operations Section to address patient family needs during a response. An Employee Family Care Unit Leader has been included in the Support Branch within the Logistics Section to assist healthcare staff and clinicians by providing support for their families. 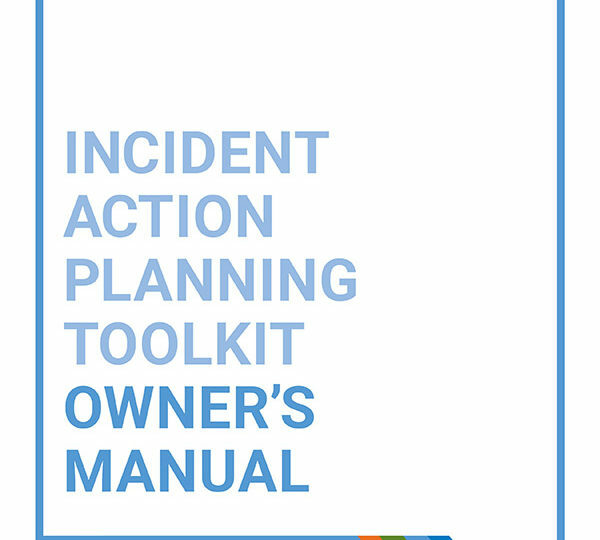 Greater emphasis has been placed on incident action planning including the introduction of new, more practical tools. The Incident Planning Guides (IPGs) and Incident Response Guides (IRGs) have been reformatted and consolidated or expanded for improved application among hospitals. The HICS Forms have been revised to be more consistent with those used by the Federal Emergency Management Agency (FEMA). Additionally, there are 3 new HICS Forms available for hospital use: Incident Action Plan (IAP) Quick Start; the HICS 200: IAP Cover Sheet; and the HICS 221: Demobilization Check-Out. 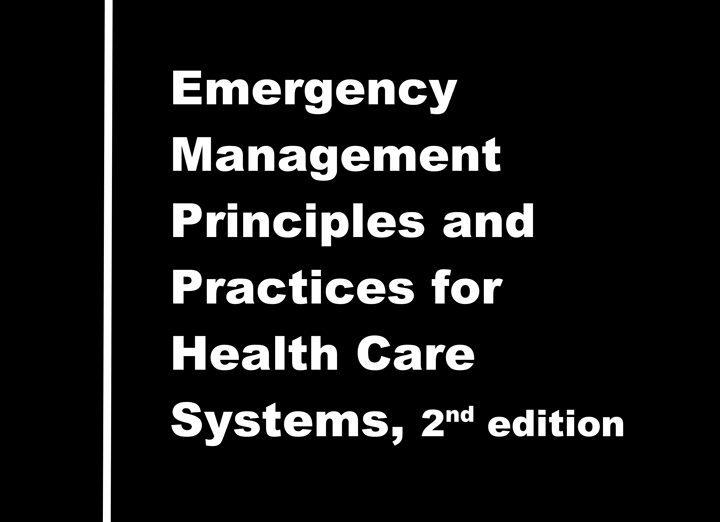 A new chapter addressing the implementation of HICS during off hours and for small and rural hospitals has been added. This guidebook and the accompanying HICS tools should be considered, “living documents.” That is, as hospitals adopt these new materials, no doubt additional best practices and lessons learned will be considered. Consequently, recommendations will evolve and lead to the next HICS update.